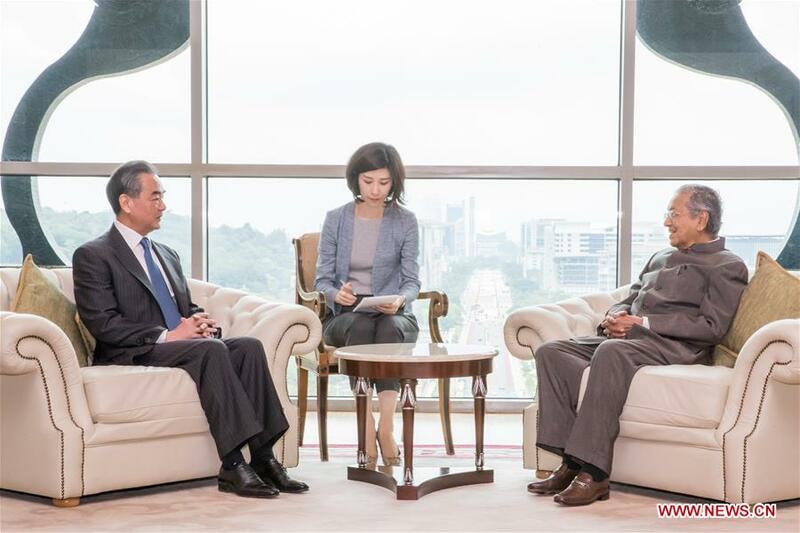 Benign Sino-Malaysian relations benefit the development of Malaysia as well as regional peace and prosperity, Malaysian Prime Minister Mahathir Mohamad said on Wednesday when meeting Chinese State Councilor and Foreign Minister Wang Yi. An increasingly stronger China means more and bigger opportunities for Malaysia, said Mahathir, adding he expects to develop closer bilateral ties with China. The 93-year-old Malaysian leader also said he is looking forward to visiting China soon to demonstrate his administration's resolve to push forward with Sino-Malaysian relations, and learn from the experience of China's development. Mahathir recalled the great Chinese navigator Zheng He's visits to Malaysia. During China's Ming Dynasty (14th-17th century), Zheng led his fleet to come to Malacca for five times on his seven sea voyages. Zheng's fleet at that time brought friendship and cooperation abroad while today's China is working hard to make contributions to regional prosperity, said the prime minister. He reiterated his support for China-proposed Belt and Road Initiative, saying it is a great opportunity for the region to realize common development and prosperity. Mahathir also expressed his hope that Chinese enterprises, especially high-tech firms can increase their investment in Malaysia. For his part, Wang praised Mahathir as "a good friend and old friend of the Chinese people," adding it was during Mahathir's first stint as prime minister that Sino-Malaysian relations gained rapid development. With the establishment of a new Malaysian government, Sino-Malaysian relations now stand at a new starting point. China is ready to work with Malaysia to take the opportunity of Mahathir's upcoming visit to China to make an all-round plan for future cooperation and open up new dimensions in bilateral ties, Wang said. 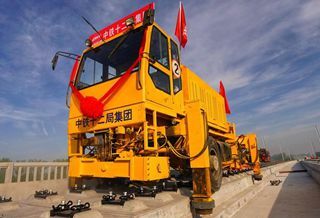 China also appreciates Malaysia's support of China-proposed Belt and Road Initiative and believes that the active participation of Malaysia in the initiative will open up even greater prospects for cooperation between the two countries, promote the development of Malaysia and contribute to Asia's prosperity, said Wang. The two also exchanged views on the regional situation and the U.S.-China trade tensions. They shared the view that facing rising anti-globalization and protectionism, China and Malaysia should join hands with other regional nations to resolutely defend the legitimate rights and interests of emerging economies. In his two-day visit to Malaysia, Wang also met with Malaysia's Foreign Minister Saifuddin Abdullah, Minister of Finance Lim Guan Eng, Minister of Economic Affairs Azmin Ali, Minister of Transport Anthony Loke and had a dinner with members of the Council of Eminent Persons, led by the council's chairman Daim Zainuddin.